Kickstarter campaign promises the "Ultimate Lens Hood"
Reflection-free photos through glass without a polariser? It can be done! In terms of sentences you never thought you’d say, 'I’m very excited about this new lens hood' is probably up there. The new Ultimate Lens Hood, however, which is currently funding on Kickstarter, is a genuinely exciting bit of kit that we can’t wait to have a play with. It’s a black silicone cone designed to stretch to fit any lens, whether you’re using a small Micro Four Thirds camera or a hefty DSLR. When attached facing forwards it acts as a hood, able not only to block out unwanted sunlight but also be placed against glass or a similar surface to prevent undesired reflections. 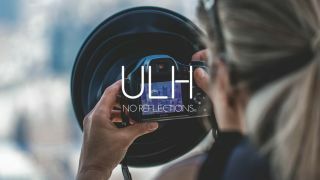 Judging by the looks of the photos on the campaign page, the ULH does a pretty good job at keeping reflections out. Shots from high buildings – even night shots – look particularly impressive. Taking a panoramic cityscape from the top of London’s Shard just got a whole lot easier, and the makers stress that the hood won’t leave marks on a window, saving you from the wrath of any over-zealous security staff. You can also expect to get better results photographing animals behind glass at zoos and similar attractions. It fits on any lens with a body diameter of over 60mm, and can stretch over a pre-attached hard lens hood if so desired. However, if you’re shooting with a small camera or smartphone, you may want to look at the ULHmini alternative, which is specifically designed for smaller devices. The ULH also has an extra bit of functionality that can come in handy; when attached facing backwards, it functions as a makeshift weather protector. While it’s by no means watertight, it can work as a decent shield against spray or mud, though of course it won’t prevent anything getting on the front element of your lens. So, if you plan to use it this way it’s worth making sure you bring a UV filter along as well. The ULH is now funding on Kickstarter. While it has already comfortably smashed past its £8,000 goal, the campaign will continue till 10 August, so if you want to order one for yourself you’d best get in soon. You can pledge at least £20 for a ULHmini, £30 for a ULH full-size or £45 for the pair. These rewards are limited though, so get in while you can at the Kickstarter page. Want to know more? Head to the official site.